The Portable Tow Truck I The ultimate emergency tire traction device to get your car or truck unstuck. The Ultimate Tire Traction Device that works on all vehicle types in Snow, Ice, Mud, Sand and Wet Grass by any driver. 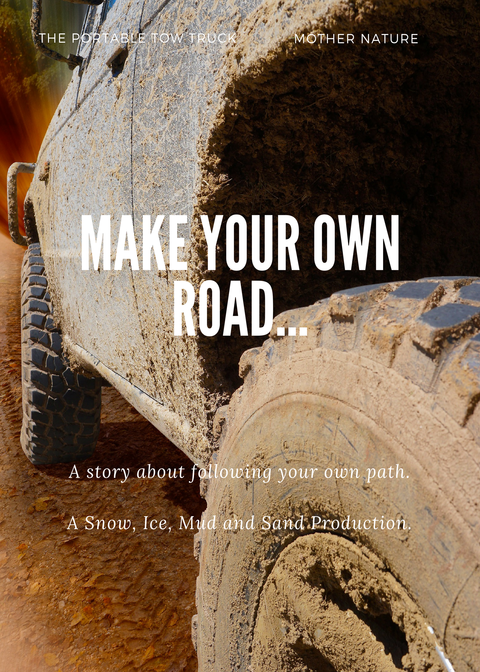 Now You Can Make Your Own Road With the Best Tire Traction Aid To Get Your Car, Truck, Van, RV or Commercial Fleet Vehicle Unstuck in Bad Terrain or Weather. 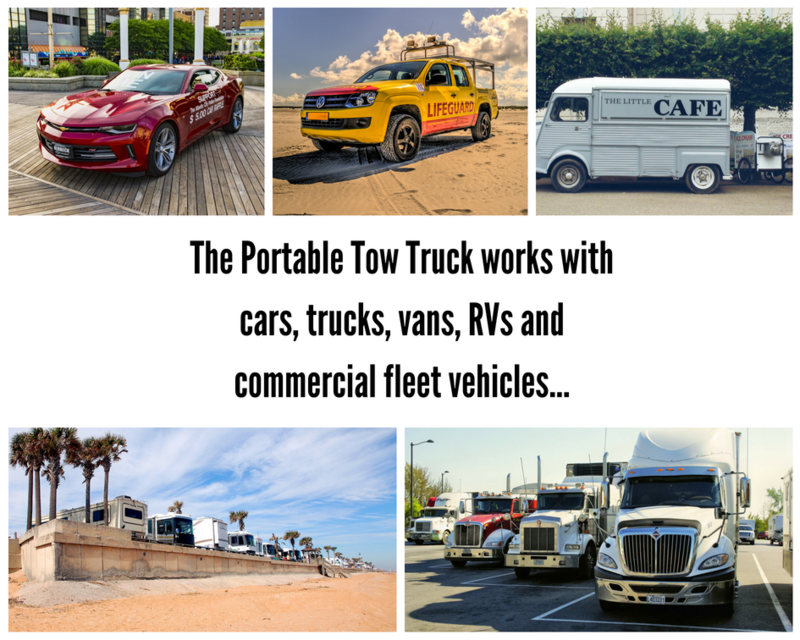 What is The Portable Tow Truck? The Portable Tow Truck is the ultimate tire traction mat that was originally developed out of necessity to save time and money for parcel delivery vehicles that got stuck on the road due to adverse weather and terrain conditions. 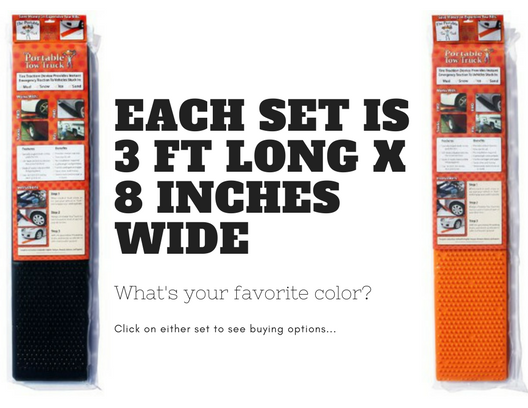 Each set (available in Black and Orange) contains 2 traction mats (one for each spinning tire) that fit in the trunk of your vehicle. 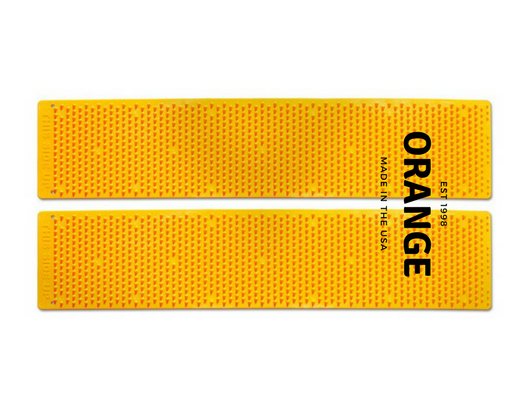 Made from polypropylene (which aids in both strength and flexibility) and weighting 2.5 lb. 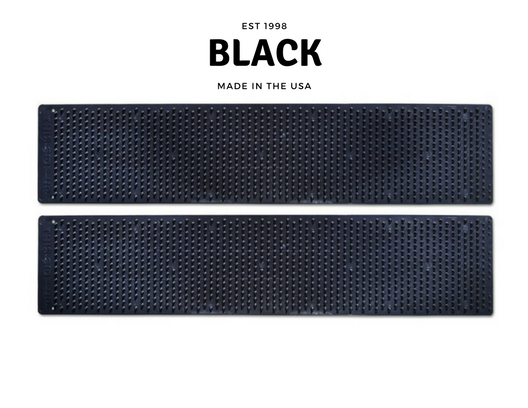 per 36-inch long mat, 1 set (5 lb.) 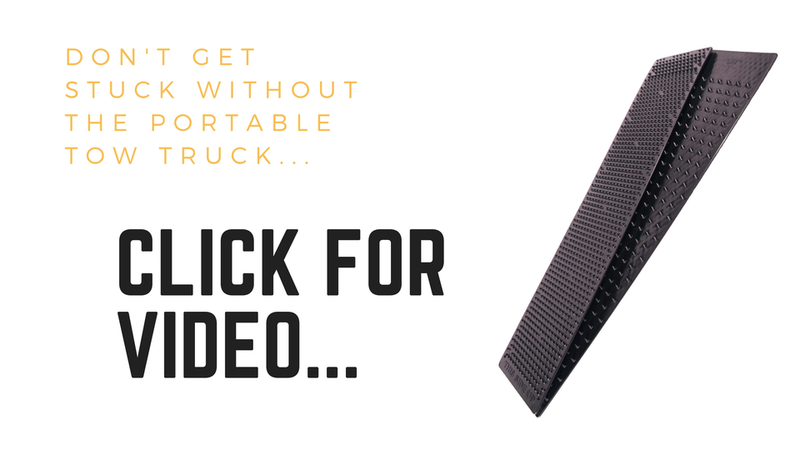 of The Portable Tow Truck gives you 2 solid, stable, virtually indestructible traction mats that will work on almost any vehicle that is stuck in snow, sand, or mud. Now, you have the tools and peace of mind that the largest parcel companies in the world have to avoid unnecessary towing costs and headaches. Versatile - Works great while camping, mudding, off-roading, and during emergency situations if your car or vehicle gets stuck. Easy to use - Lightweight and can be used easily and safely by men, women and young adults. American Made - The Portable Tow Truck is proudly "Made in the USA"! 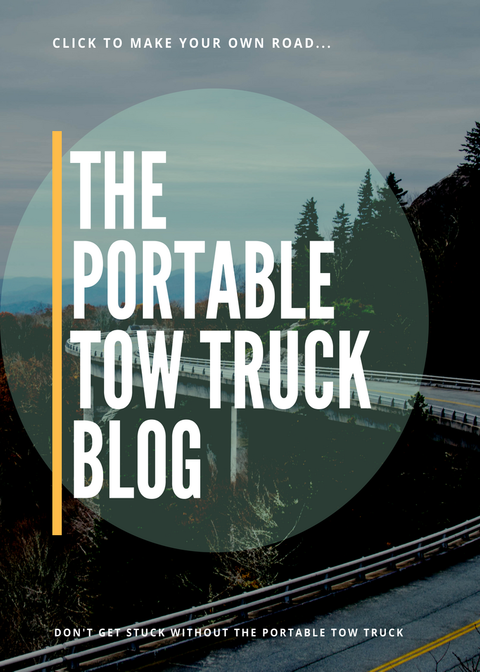 Why use The Portable Tow Truck tire traction device? 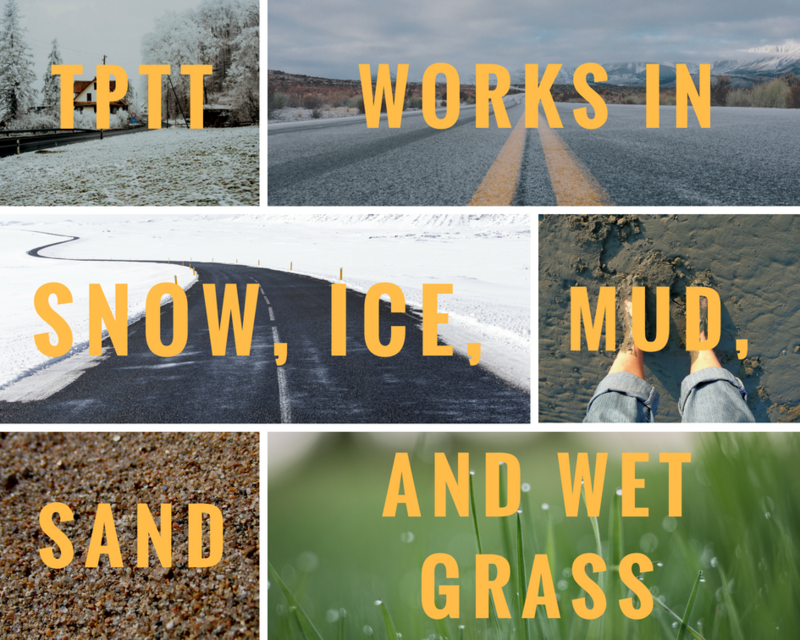 To help protect you and your family or friends from unexpected roadside emergencies like getting your vehicle stuck in snow, ice, mud or sand. 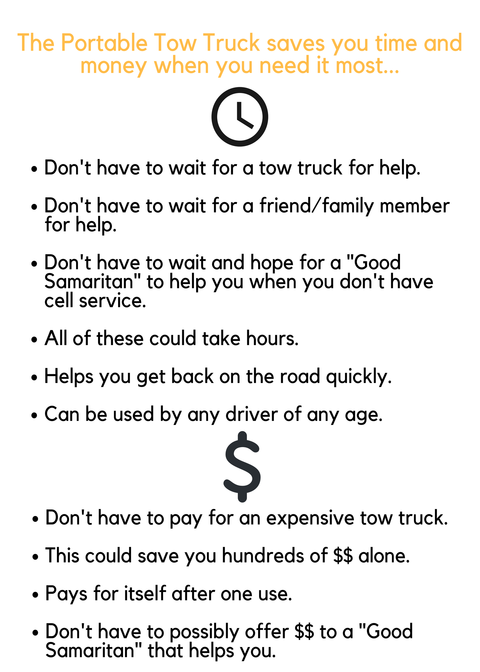 To help save time and money from having to call and wait for an expensive tow truck to pull you out of a sticky situation which can save you hundreds of dollars. To help give you and your family or friends piece of mind while driving. · Melinda C. - "Love it!! Two days after we received it, we got our truck stuck in deep gravel, at an angle, up against some shrubbery. The more we tried to get unstuck, the more stuck we became. We placed the Portable Tow Truck under the outside rear wheel and BINGO!! The truck backed out with no problem at all. It saved us a big towing bill!!! Great product. A peace of mind that's very easy to carry around. I highly recommend it. A big fan"
· Bill H. - We have a 15,000 lb RV. When we were taking it out of winter storage, it came off the pad and promptly got stuck in the mud. My wife found your product on Amazon and suggested we try it. 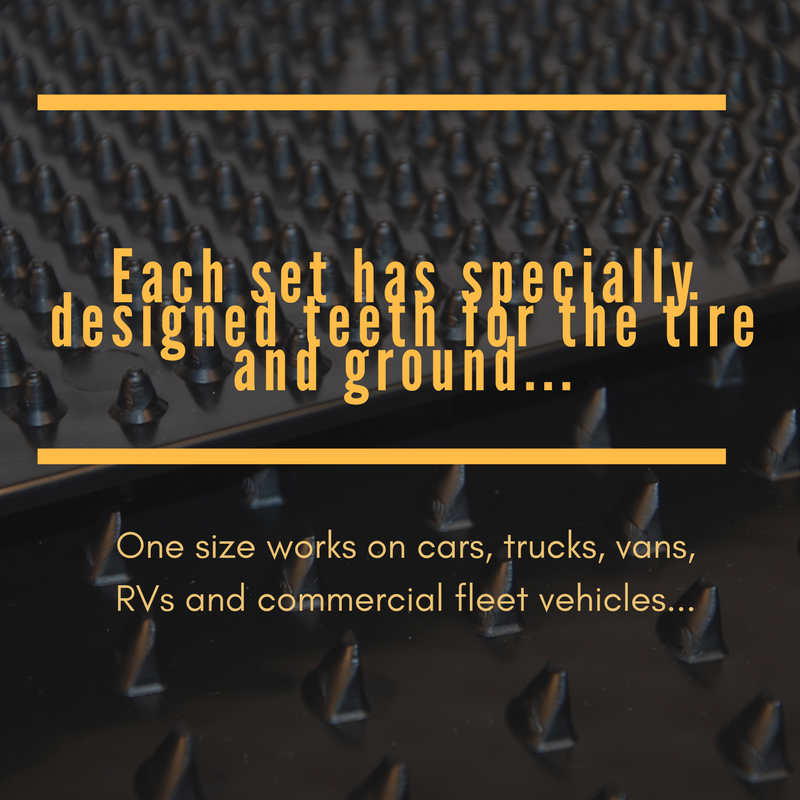 Since the RV has dual tires on each side, I thought it best that we get two sets so we could put one mat under each of the rear wheels. Attached are a couple of pictures of the mats after we finished today. Not very pretty, but they got the job done. I’ll hit them with the hose and they’ll be fine. To say the least, we were more than pleased. They are now part of the RV emergency kit for the summer, and they’ll be in the back of the cars in the winter.